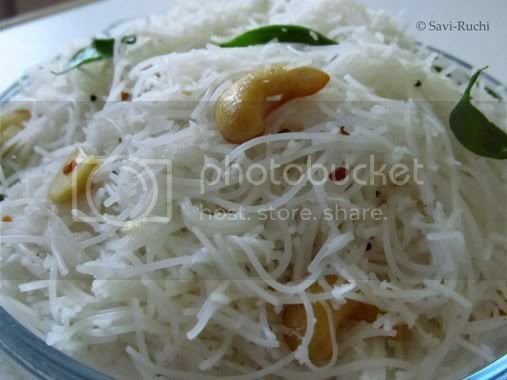 Whenever akki shavige/rice noodles were prepared at home, my mom used to prepare two types of savory dishes out of it. I have blogged about the first one, shavige oggarane. Here comes the second, a mildly spiced akki shavige oggarane. Cook the rice noodles as per the package instructions. Normally rice noodles is cooked in heavily salted boiling water for 3-4mins. When noodles become soft, turn off the heat & let the noodles sit in hot water for another minute. Drain the noodles & run the noodles under cold water. Break the noodles into manageable size. Prepare the tempering. Heat oil in a broad wok. When oil is hot, add mustard seeds. When seeds begin to pop, add urad dal & saute till the dal turns golden. Throw in the cashews & saute. Add the curry leaves, green chilies. Let the curry leaves become crisp. Add the asafoetida, grated coconut & saute the coconut until it leaves out a nice aroma (take care not to brown the coconut). Saute for a maximum of 1 min. Finally add the cooked rice noodles, adjust the seasoning & mix well. Serve it warm with a chutney of your choice. 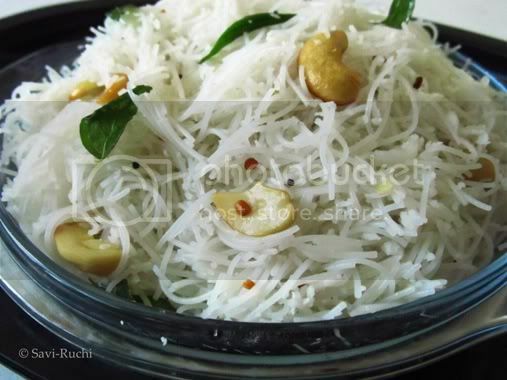 Traditionally this dish is prepared using home made rice noodles/akki shavige. For better results, try to use good quality fresh coconut. Do not saute the coconut for long ! Cashew nuts could be replaced with peanuts. Shred the broccoli. I let my chopper do it for me! Heat oil in a broad skillet. When oil is hot, add kalonji & cumin seeds. When seeds leave out a nice aroma, add the garlic & saute till the garlic turns golden. Throw in the shredded broccoli & mix. Add the salt, spice powder, red chilli powder & cook it on a medium heat for 3-5mins. Keep stirring in between. After the broccoli is cooked, increase the heat to high-medium & keep stirring continuously for 2-3mins. 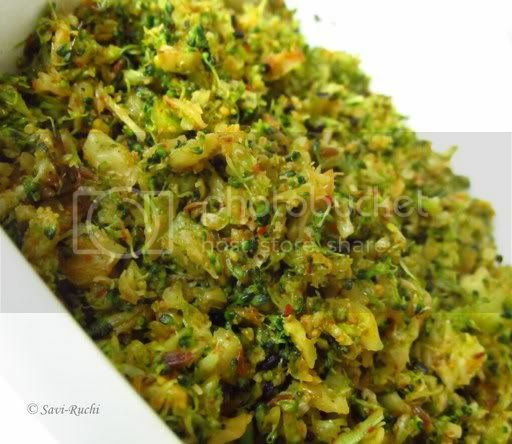 This step will ensure to remove all the moisture from the broccoli & make it crisp & crunchy. Turn off the heat. Add lemon juice & coriander leaves. 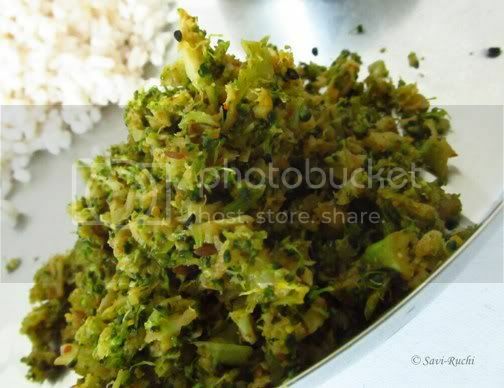 Mix well & serve it as a side dish for rice. Do not get tempted to sprinkle water, we need this dish crunchy! I have tried this dish with variety of spice powders including sambar powder. Some spice powders that could be tried are kitchen king masala, pulao masala, sambar powder, curry powder. You could even mix the spice powder, oil, garlic, broccoli & roast it in the oven! I will try it next time & update the result here. Here is the recipe for one of my usual morning breakfast. I make them for myself at least once a week. Mixed vegetables: 3/4th cup, shredded or finely chopped. In a saucepan, boil the water along with the shredded vegetables.When water starts boiling add the salt. Throw in the oats & cook on a medium heat for 2-3mins. Turn off the heat, add the pepper, Parmesan cheese & mix well. I have used vegetables like broccoli, carrot, french beans, cauliflower, potato to prepare this porridge. You could add any vegetable you have. Ensure to chop it really fine. If you could mince them, there is nothing like it! Oats are easily available in India too. I am not sure about the small towns, but in big cities, you will easily find them. 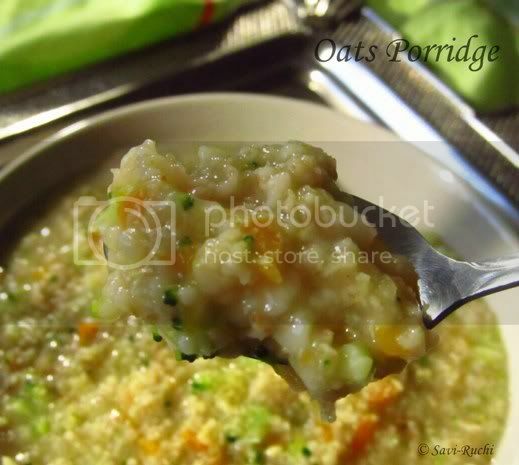 Few other interesting savory oats porridge recipes could be found here. Prathibha's savory oats porridge. I love this recipe of hers. 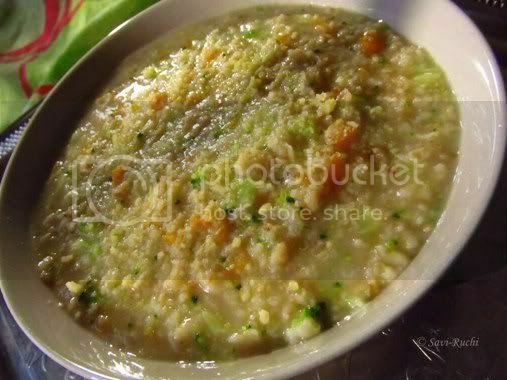 Raks kitchen: Oats savory porridge. Yet to try this. Will try soon. I love broccoli where as my family prefers to avoid it. Hence I try to hide this vegetable. One trick that always work for me is to mix it with the vegetable that they absolutely love. I tweaked the Paneer Burji recipe by adding loads of my favorite spices. This gets done very fast & is a great side dish for phulkas or plain paratha (whole wheat Indian bread). Bland paneer & broccoli becomes very flavorful with this spice powder & tastes great.The spice powder mentioned below comes handy while preparing many dishes. Spice powder: 1 tbsp, refer below for the ingredients. Lemon juice: 1/2 tsp, optional. Dry roast the fennel seeds, cumin seeds & coriander seeds. Allow them to cool. Make a fine powder of the dry roasted seeds. Scoop out the powder & mix the garam masala, red chili powder, amchur powder. Store this powder in a air-tight container. You could use this spice powder to make several types of stir-fry/sabzi or curry. Wash the broccoli. Drain it in a kitchen towel & shred/grate the broccoli. Grate or mash the paneer. Heat oil in a broad wok/pan. When oil is hot, add cumin seeds. When seeds turn golden brown, add kalonji. Saute for 10secs. Throw in the garlic & saute till garlic turn golden. Add the onion & saute till the onions sweat (around 2-3 mins). Add the shred broccoli, green peas to the oil & saute for 2-3mins. Add the paneer, salt, spice powder, extra red chili powder & mix well. Cook the mixture on a medium flame for 5-7mins. Turn off the heat. Add lemon juice, coriander leaves & mix. Serve it hot with a bread of your choice. 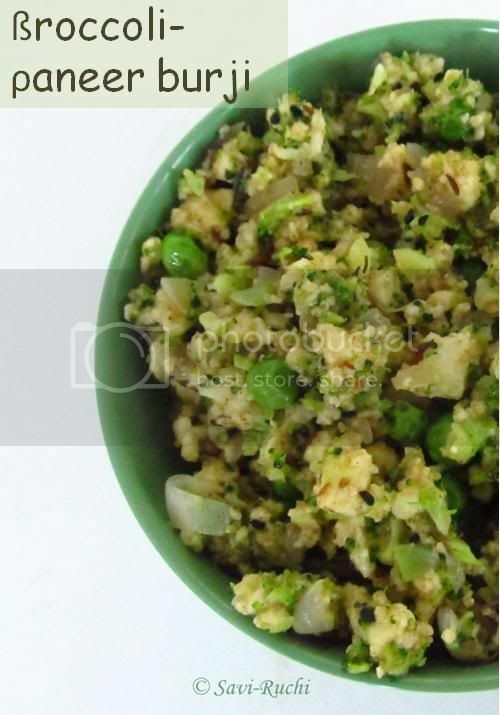 The measurement mentioned for broccoli & paneer in this recipe is completely your choice. Adjust according to what you have at hand. I see star-fruits in almost all the veggie shops, supermarkets here. I always loved the looks of the beautiful fruit. I even got a couple of them home & ripped them apart. Aiyyo!, looks deceived me & my taste-buds said not a bite more!! That ended my love with this lovely fruit until I saw the recipe from Mangala. 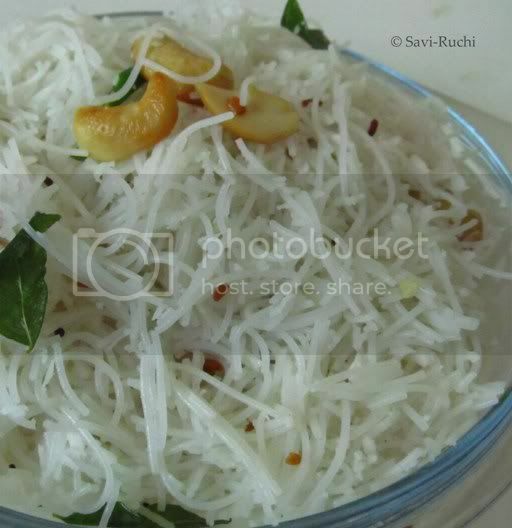 I love her blog because of the authentic Havyaka Brahmin (a community of Karnataka) dishes. I love her recipes & the drool worthy pictures. 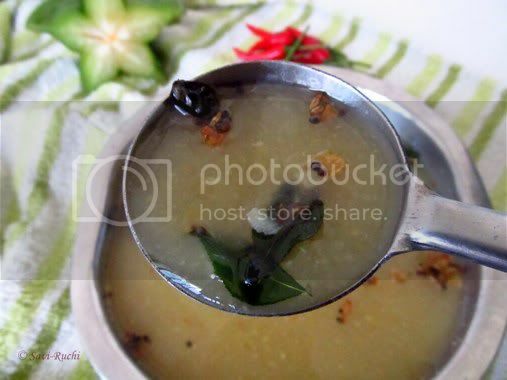 Rough translation of appehuli, is a kind of rasam/soup that is sour, spicy & sweet. 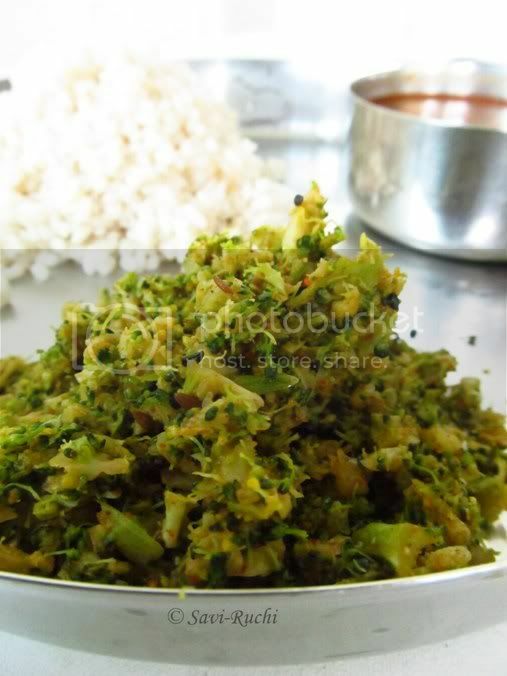 It is served as an appetizer in the Havyaka community. The vegetable/fruit used for making this soup needs to have a strong sourness factor. Most common vegetable/fruit used for making appehuli are mango (a different variety of mango grown in Malnad/coastal region of Karnataka is used), amtekayi (Sorry, I do not have much info about it) & lemon/lime. When I first saw the recipe in her blog, I was not very convinced to try them. But knowing the fact that Mangala must have grown up eating them & also for my crazy love towards appehuli made me try it. I loved them so much that I prepared them 2 times in the same week! I have been making them ever since for my lonely lunches. You can have it as a soup too. 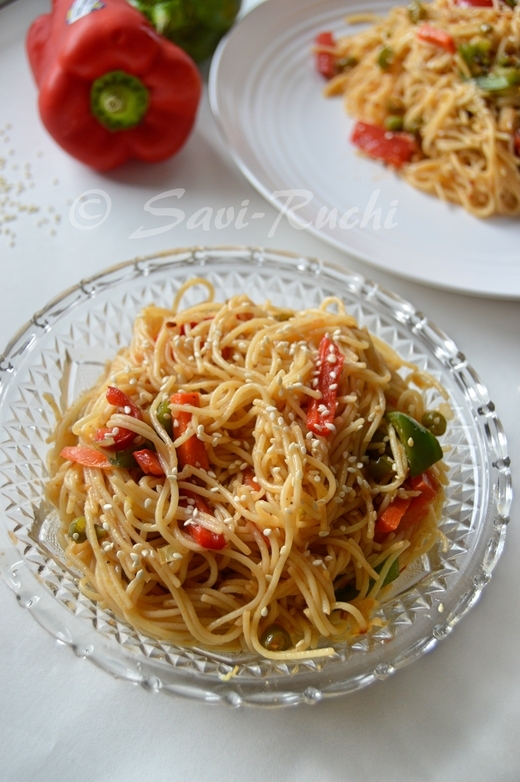 I bet you will serve yourself more rice to have this heavenly saaru. 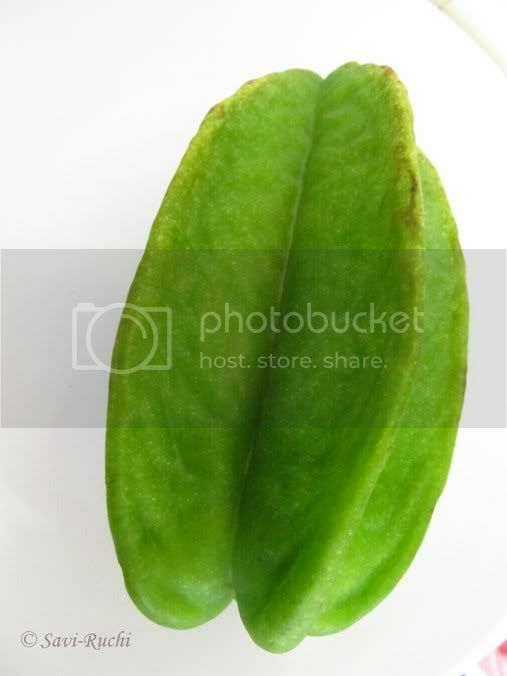 *Star fruit is green when raw & as it ripens it turns yellow. 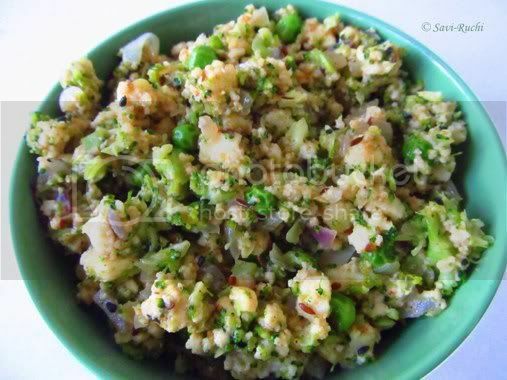 Look for a greener starfruit for this dish as raw ones are comparatively sour than the ripened. Have a look below. ** Thai red chilies are very spicy, adjust accordingly. Cut the starfruit into big chunks. 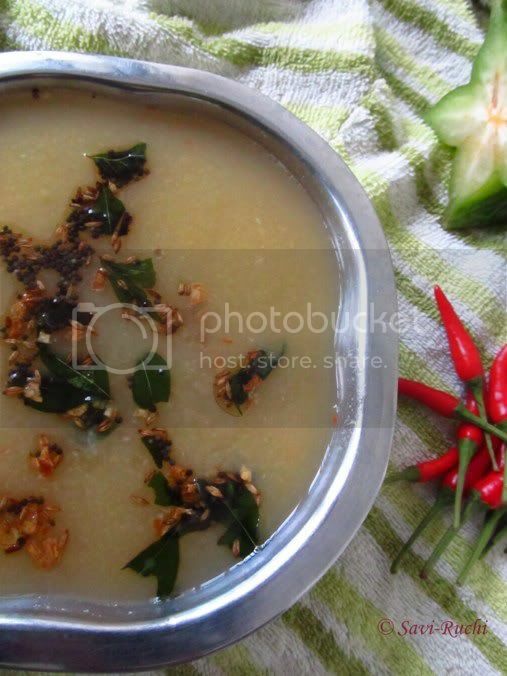 Add water, salt, jaggery, Thai red chilies & starfruit to a saucepan/vessel. Boil until the starfruit is cooked properly. It would be perfect if you slightly overcook the fruit. Allow it to cool. Take out the cooked starfruit chunks from the cooked water. Mash the chunks, chili using a hand mixer or a masher. You could put it in the food processor too. Add the mashed fruit paste to the cooked water. Adjust the seasoning & mix well. Prepare the tempering. Heat oil. When oil is hot, add mustard seeds. When seeds pop, add garlic & saute till nice golden brown. Add the curry leaves & turn off the heat. Pour the tempering over the appehuli. Mix well & serve warm/cold. Btw, you may also want to have a look at Mango appehuli recipe.